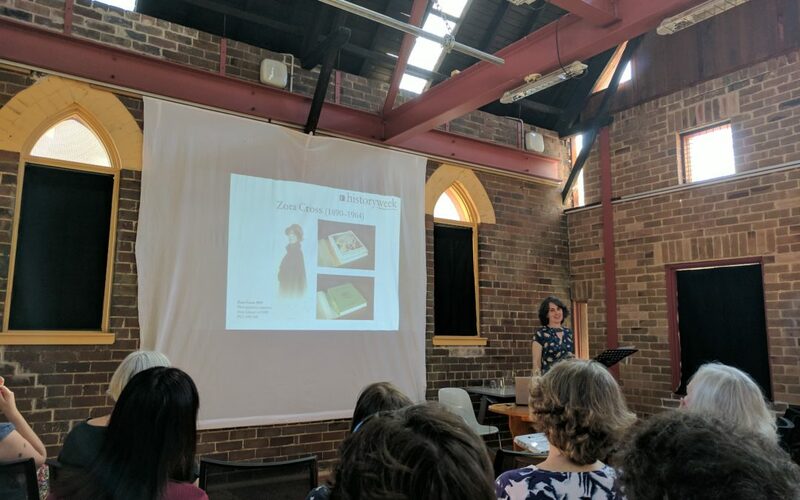 I had the pleasure of hearing Cathy Perkins, editor of the State Library of NSW’s SL Magazine, speak at the wonderful Dickson Street Space in Newtown, run by Inner West Cultural Services. Cathy spoke about the women writers interviewed by Zora Cross in the 1920s and 30s for the Australian Woman’s Mirror. Many thanks to Cathy for providing some of her notes for this article. After an introduction by writer Margo Lanagan, Cathy began with an overview of the Australian Woman’s Mirror, which was launched by the Bulletin company in 1924.The Mirror promised to supply women in the city and the bush with conversation material: about theatre, film, music, sport and ‘a little about books and the people who write them’. It was warmly received by readers across Australia, and soon became the country’s most popular women’s magazine. We were shown a gallery of striking cover designs, fashion photos and images of women involved in outrageous pursuits from flying aeroplanes and shooting rifles, to wearing bicycle tights over silk stockings. In the early years of the Depression, the lavish fashions in the magazine contrasted with household hints such as making coffee from stale parsnips. and many authors whose names aren’t so familiar. One of those largely forgotten authors was Zora Cross, who wrote under many pseudonyms including ‘Bernice May’. This was the name Cross used from 1927 when she out to raise the profile of her fellow ‘writing women’ by interviewing them – in person or by letter – and writing feature articles about them for the Mirror. These articles are often the only biographical information available about these writers. Cathy presented the names and photographs of the 39 writers profiled by Zora Cross between 1927 and 1931 — Myra Morris, Constance Clyde and Llywelyn Lucas among them — and told us about a few of the writers in more detail. One of those was Iris Norton, who was interviewed by Cross when she was a 21-year-old publicity manager for Hoyts Pictures. Norton struck Cross as a wonderful young flapper, whose ambition was to own a chateau on the Mediterranean, where she would ‘write great novels and plays … and return with a band.’ Another interesting writer was Elizabeth Powell, who travelled the country before setting up a service to supply country newspapers with illustrated short stories, poetry and articles on domestic topics ‘from making puff-pastry to curing a crocodile of the measles’. 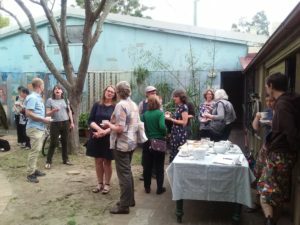 After the talk, and questions from the audience, our friends at Inner West Cultural Services provided afternoon tea with cakes and slices from a 1937 Australian Woman’s Mirror cookbook! Special thanks Cathy Perkins and Meg Quinlisk for participating in the History Council of NSW’s History Week Speaker Connect program. Glad to hear you enjoyed Cathy’s talk, Benjamin. We too hope to see her work on Zora Cross published soon! Cheers, Amy.